Vincent, of Beauvais [Vincentius Bellovacensis]. Speculum morale. Nuremberg: Anton Koberger, 6 February 1485. 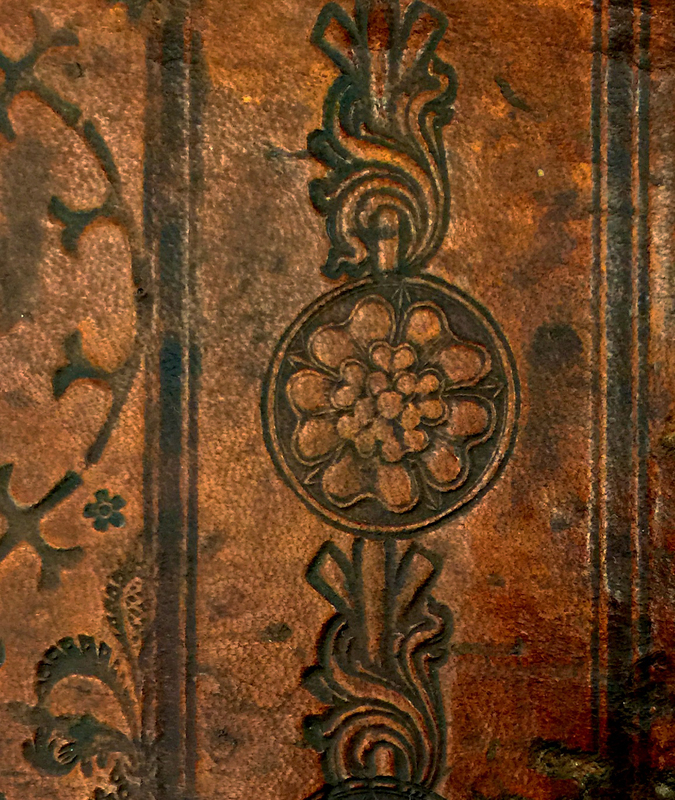 Sanford Berger believed that the circular floral designs around the border of the binding (see below) were adapted by Morris on his pigskin binding for the Kelmscott Chaucer (Bibliography, A40).